Elite 2000 Plug 'n' Play Adaptor Harness ECU Kit - Toyota LandCruiser 80 Series Suits: 1FZ-FE MY95-97 Manual Transmission only. 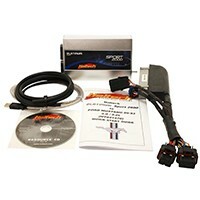 Elite 2000 Plug 'n' Play Adaptor Harness ECU Kit - Nissan Patrol/Safari Y60 and Y61 Auto Suits: TB45E Only. Supports both manual and automatic transmissions (No shift re-programming/control etc).